The stress and joy of cooking for a family with food allergies. I’m a day late for a valentine’s day post. We made a few fun food items, I still wanted to share with everyone! We had another snow day on Monday so, we decorated some heart shaped sugar cookies with royal icing. I made the cookie dough in the morning and chilled it for only an… Continue reading Happy belated Valentine’s Day! Disclosure- Always do your own research. If I suggest a product check that it is safe for you and your specific allergens. Always read your own labels. Always do your own research. Always make sure that you are comfortable with what you are serving yourself and your family. Food labels and brands may vary from store to store, state to state, etc. 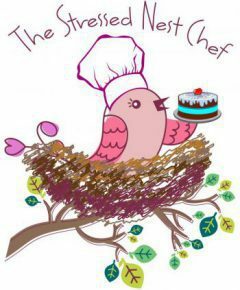 The stressed nest and or the stressed nest chef is not liable if you consume a food that causes an allergic reaction. Always check with your doctor if you are unsure about what you can or cannot eat. I'm a 30 something mom, I have two boys and a girl. I married my high school sweetheart. My oldest son and I both are allergic to nuts. I'm allergic to Almonds and he is allergic to Peanuts. My youngest son is possibly allergic to multiple tree nuts. My husband is allergic to shellfish. We also have a few other food allergies in our extended family. I started baking and cooking at home more, in hopes of alleviating some of my stress and anxiety over having and raising a child with a life threatening food allergy.